American literary realism burgeoned during a period of tremendous technological innovation. Because the realists evinced not only a fascination with this new technology but also an ethos that seems to align itself with science, many have paired the two fields rather unproblematically. But this book demonstrates that many realist writers, from Mark Twain to Stephen Crane, Charles W. Chesnutt to Edith Wharton, felt a great deal of anxiety about the advent of new technologies – precisely at the crucial intersection of ethics and language. For these writers, the communication revolution was a troubling phenomenon, not only because of the ways in which the new machines had changed and increased the circulation of language but, more pointedly, because of the ways in which language itself had effectively become a machine: a vehicle perpetuating some of society’s most pernicious clichés and stereotypes – particularly stereotypes of race – in unthinking iteration. 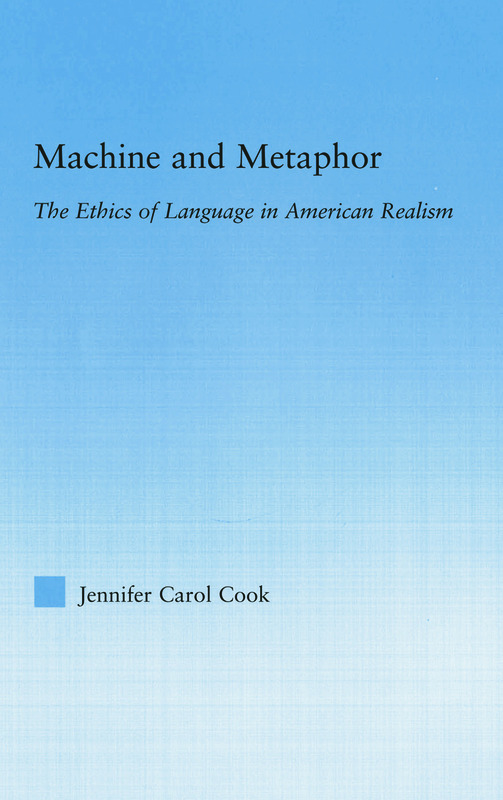 This work takes a close look at how the realists tried to forge an ethical position between the two poles of science and sentimentality, attempting to create an alternative mode of speech that, avoiding the trap of codifying iteration, could enable ethical action.